Do the windows on your domestic or commercial property require a comprehensive cleaning service? 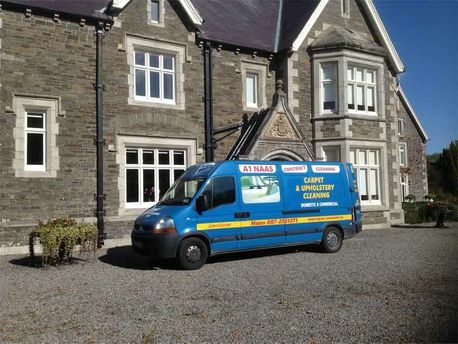 Then get in contact with A1 Naas Contract Cleaning now. We have been offering clients our window cleaning service for over 3 decades. Our professional service makes use of purified water to ensure clients' windows get the best cleaning possible. We only use water that has been treated to remove the impurities and pollutants that can compromise the finish of cleaned windows. Purified water, mixed with the right dilution of window cleaner means that we bring the gleam back to your windows. We’re available to customers within the Naas, Maynooth and the Celbridge locales. We’re available for a one off window cleaning, or more regular contractual based window cleaning service. We’re fully equipped to clean the windows on large scale office buildings and on smaller residential properties. Do you want your windows cleaned to the highest of professional standards? Then get in contact with A1 Naas Contract Cleaning today. 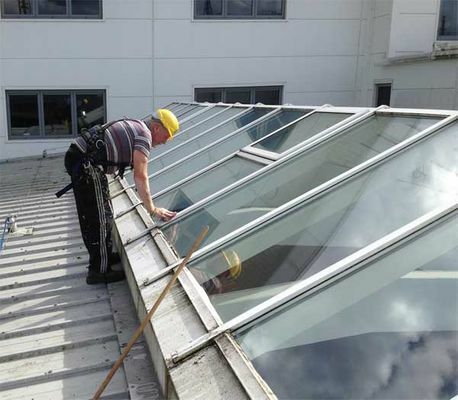 A1 Naas Contract Cleaning prioritises safety during our window cleaning service. We make use of the pole system during our window washing service. This system feeds purified water through a series of poles that eventually leads directly to the washer. This system is not only safer but is also more effect in cleaning windows as fresh water is being used throughout the cleaning process. This pole system can reach up to three storeys, meaning A1 Naas Contract Cleaning is ideally placed to clean the windows of large office buildings and large commercial properties. We only use purified water so your glass comes out shining every time. Are you interested in having your windows cleaned using the best cleaning process available? Then get in contact with A1 Naas Contract Cleaning today.